An air duct cleaning is an important part of regular home maintenance. It provides you with cleaner air and has been found to reduce the number of allergens inside your space. Have you recently scheduled an air duct cleaning? Great! That means you are taking an active role in the cleanliness of your home – as well as the health of you and your family members. Now that the appointment has been booked, you may be wondering what comes next. Are there things you need to do beforehand? How should you prepare? Don’t stress out about it. Just keep reading! This is everything you need to know to get your home ready for your next Canaduct duct cleaning. Over the years, we have been asked a lot of different questions. 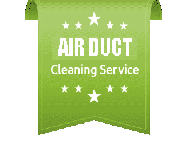 They range from the type of services we provide to questions about the duct cleaning process. One of the most common questions however, has to do with furniture. Yes, furniture! Many homeowners have asked us whether or not they need to cover up furniture before we arrive. The answer is no! We close up all of the vents to ensure that any and all contaminants inside the ducts are completely removed. This step prevents dust, dirt, and other debris from escaping into your home – and contaminating the air you breathe. Our job is to you’re your home air clean. That is why we do everything possible to remove contaminants as effectively and completely as possible…. including closing the vents! So, remember: before a scheduled air duct cleaning, you do not need to cover up your furniture. We take the necessary steps to ensure that your home stays clean. Something else to keep in mind? You don’t need to go around closing all of the vents before our arrival either. Leave that to us! We prepare your home for the air duct cleaning. You can always rely on the skills and experience of our professional team to get the job done right. Every member of the Canaduct teams knows how to prevent contaminants from getting into the air – or making your home dirtier. That means you don’t need to go from room to room closing vents, covering furniture, or worrying about the duct cleaning process. Just take a deep breath and relax. Are you still wondering what you need to do to prepare your home for a scheduled air duct cleaning? The answer is simple: nothing. Once you have made the appointment, the only thing you need to do is wait for our arrival. Let our experienced duct cleaners do all the work. There is no need to worry about your home becoming dirtier or any contaminants getting into your home air. We work hard to prevent this from happening. It is our responsibility to improve the cleanliness of your space, reduce allergens, and remove all of the built-up contaminants lurking inside of your ductwork. Regular duct cleaning works to improve your home. So, start making improvements! Choose Canaduct for all of your duct cleaning needs. We do the prep work before performing a quality air duct cleaning. Our experienced team is ready to make your life easier – and help you breathe better! Are you concerned about the cleanliness of your home? Contact Canaduct Duct Cleaning at: 416-410-3777. Our experienced staff members specialize in residential and commercial air duct and furnace cleaning.